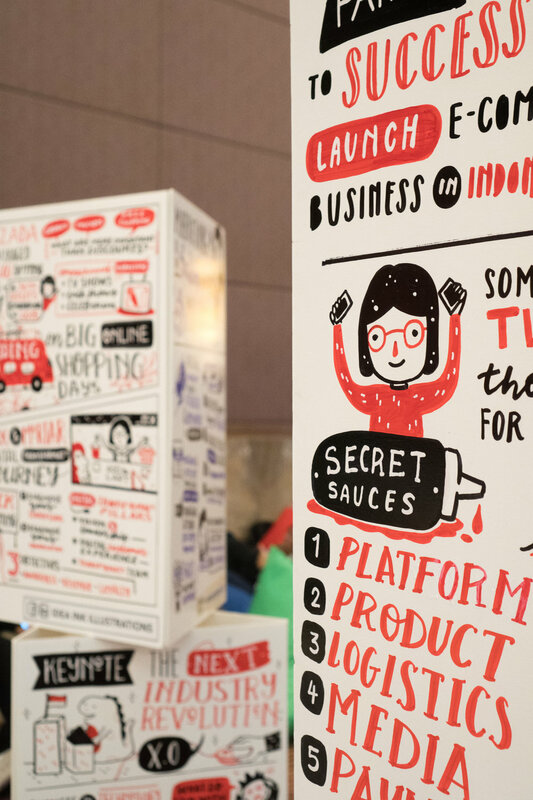 The wave of e-commerce is unstoppable. 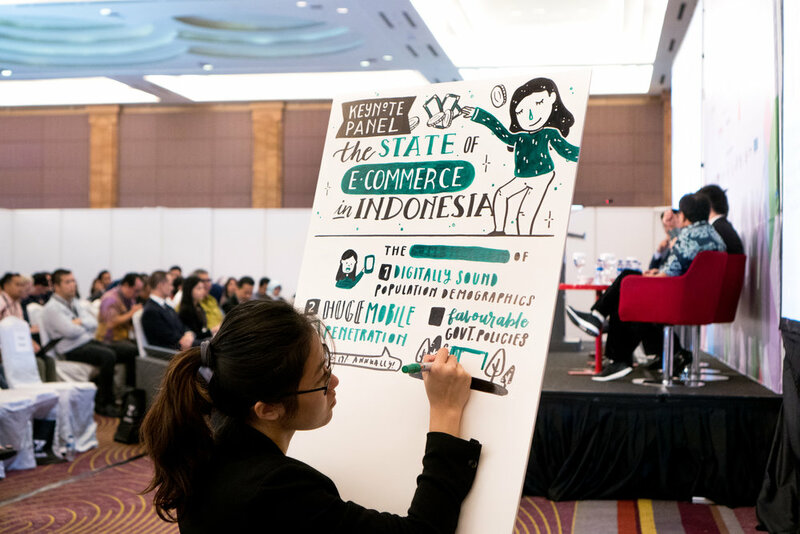 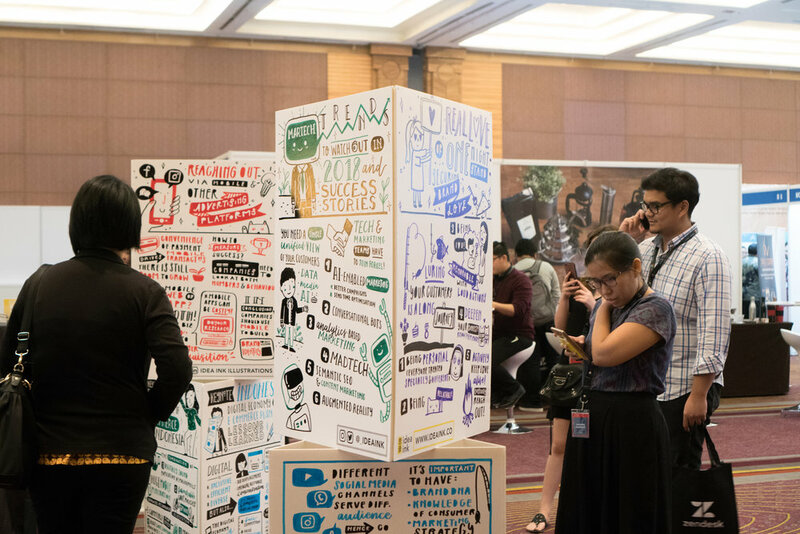 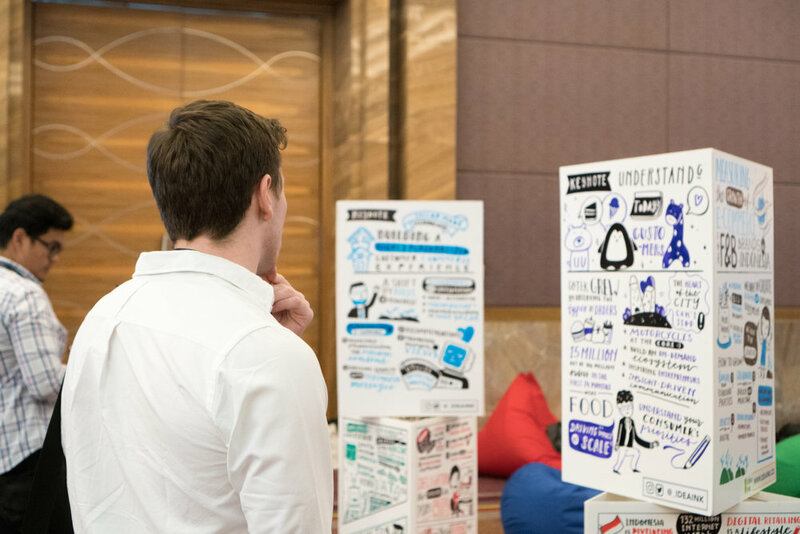 We found ourselves in the heart of Jakarta, graphic recording for the 3rd edition of the Internet Retailing Expo 2018 (@IRXAsia18). 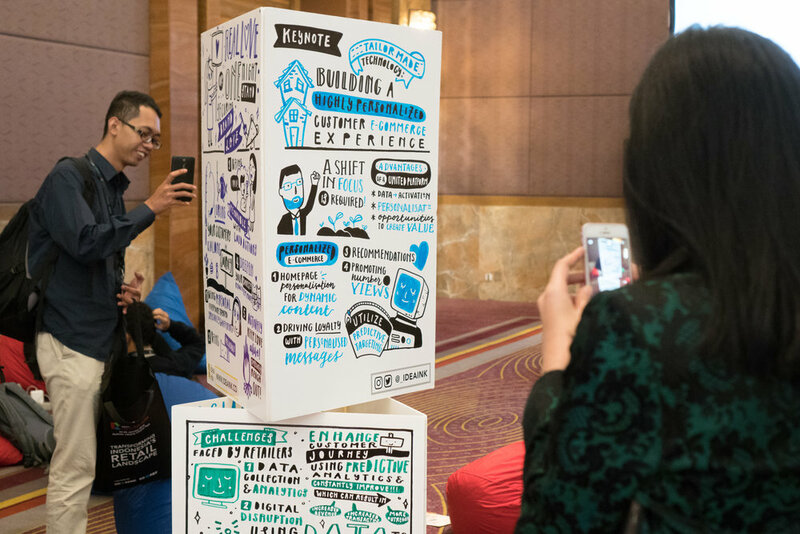 With over 200 exhibitors and 5,000 visitors, the 2-day event was organised to transform Indonesia’s retail landscape, encouraging businesses to enhance the omnichannel shopping experience. 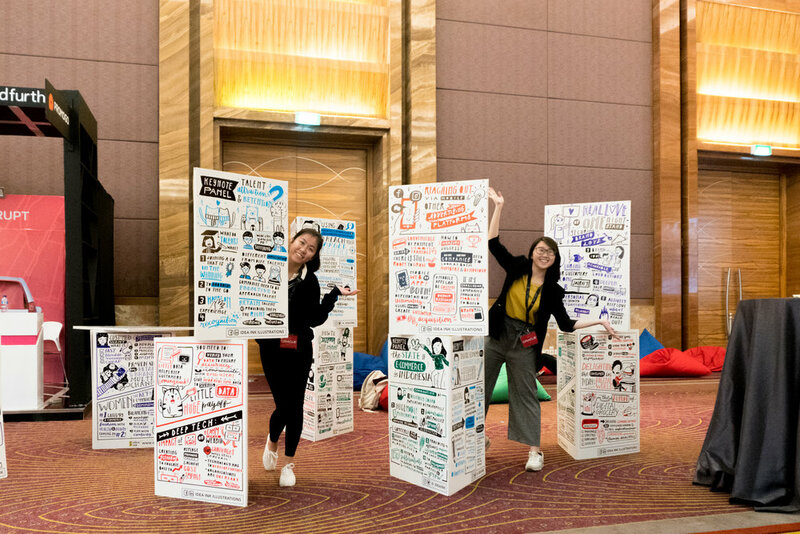 Learn everything about how to market to the fashion-forward millennials and the secrets to what keeps executives awake at night.